This sweet coconut and rum sensation is Puerto Rico’s National Cocktail. Rum. Coconut Cream. Pineapple Juice. Lots of Ice. Summer in South Florida is hot and sweltering. It’s a great excuse to get out the ice and shakeup some cocktails. We asked our go-to mixologist Nick Nistico to create two variations of the classic Piña Colada, a fixture in many tropical bars. As a reference, below is the classic recipe from 1954, created at the Beachcomber Bar by Ramon “Monchito” Marrero. Modern Classics: Imagine the tropical aromas of fresh coconut macaroon and buttercream infused with real pineapple. 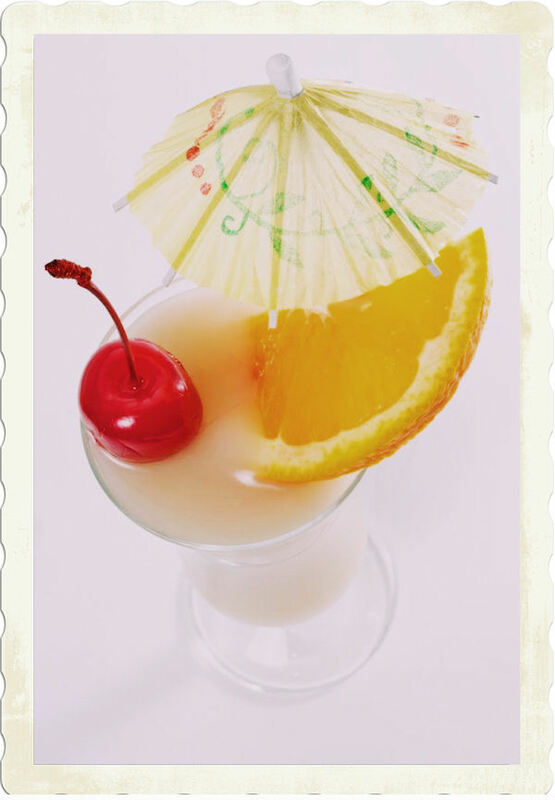 Nistico’s rum sensations are made with coconut cream, pineapple and lime juice, served either blended or shaken with ice. 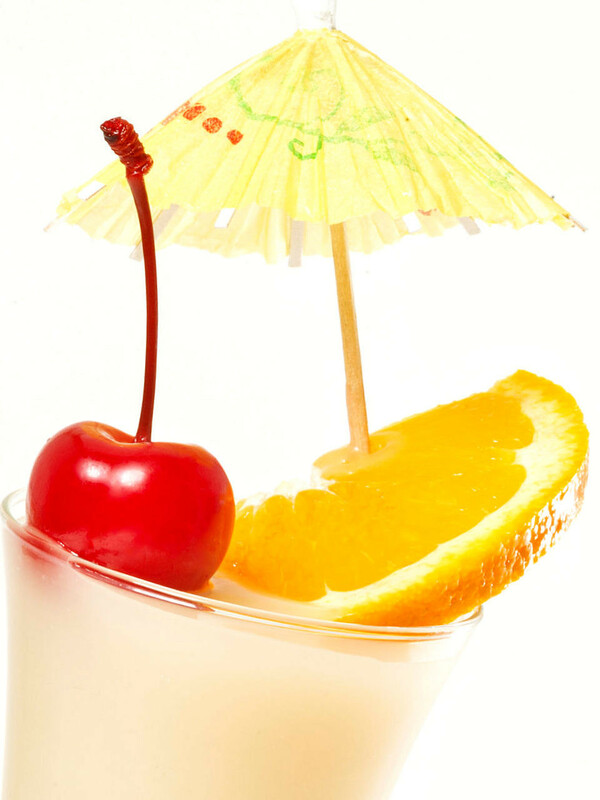 Garnish with a Filthy long stemmed maraschino cherry and an orange slice topped with a paper parasol. Our next version gets amped up with an Asian cooking staple. Chinese Five Spice powder boasts sweet tones from star anise (bajiao), earthy cloves (dingxiang) and cinnamon (rougui) with the bite of Szechwan pepper (huajiao), all married together with ground fennel seeds (xiaohuixiang). Garnish with a Filthy long stemmed maraschino cherry and an orange slice topped with a fortune cookie.